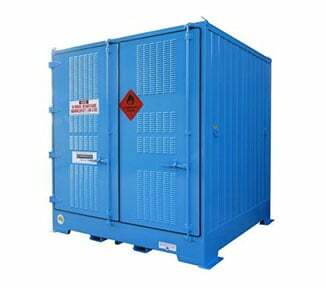 The SC160 is an indoor safety cabinet storing up to 160 litres of Class 3 Flammable Liquids. 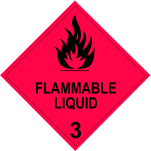 Features perforated shelving (to maximise airflow); flash arrestors and vent openings (that fit your mechanical ventilation system); and a 57 litre spill containment sump (that’s liquid tight) — your flammables are secured against combustibles and sparks. 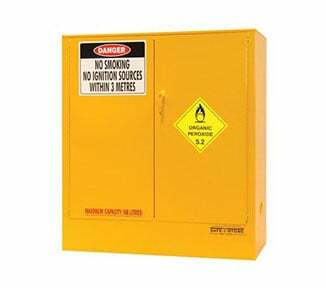 Outside the SC160, you’ll appreciate the high-tech powder coat finish, plus the compliant warning placards and cautionary signs. 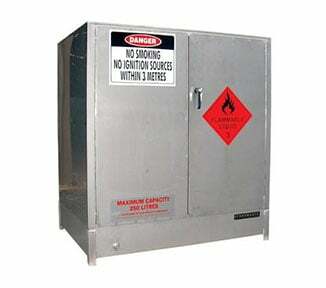 The SAFE-T-CLOSE® sequential closing system keeps the doors closed at all times without creating sparks. 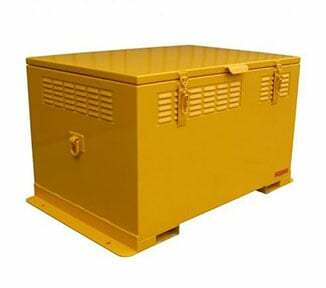 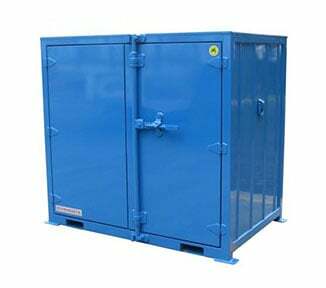 The SC160 is part of the advanced SAFE-T-STORE® range of indoor Safety Cabinets for Hazardous Chemicals and Dangerous Goods. 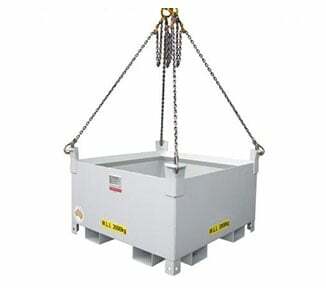 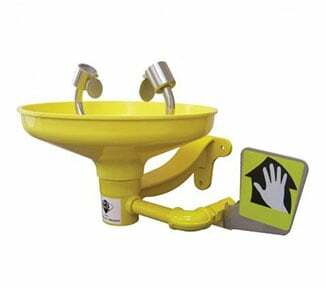 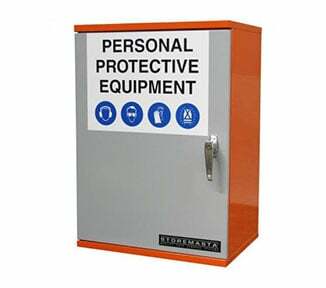 Designed and manufactured in Australia to the highest safety standards includingAS1940-2017. 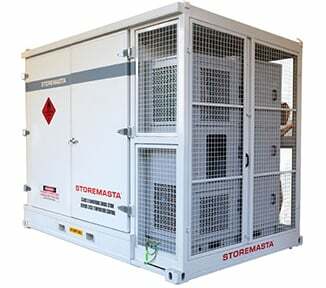 Order your flammable liquid storage cabinet from STOREMASTA today.